1. Which hairstyle do you prefer? If you have others that you liked, please post below! Edit: I thought the lady in the middle of the last picture was Yuju and I got scared. Gfriend, memes, and history equal the apex of human existence and civilization. her bangs in a pony tail is adorable but i prefer half up half down. And everyone looks so young and this picture. I think this was during rough era, which is crazy because it doesn't feel like it came out this year. Maybe it's the ponytails that making everyone look younger. I refuse to believe this was during the rough era; it seems more like glass bead era. Sometimes i want her to have bangs with wavy hair, then bangs clip back, no bangs, i like her hairstyle too in gone in the wind were they wore black sweater and white short. Also I want to see her in ponytails since she rarely have that kind of hairstyle. But still preferred without bangs. I like her hair most with bangs down. 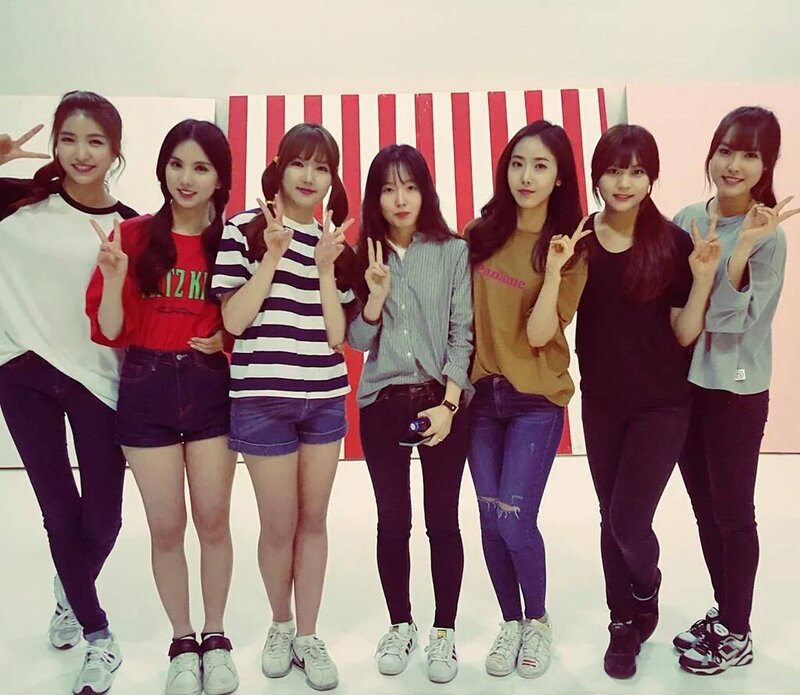 I generally like Gfriend with bangs haha. But maybe someday they can all try having short hair! I think she looks better with bangs in Navillera era rather than Rough era, she looked so cute in their third win i think (they were wearing white outfits). Generally I think she looks better without the bangs tho. She had a better styling during navillera era than rough.. she always hide her face during rough era..
NO BANGS>>>>> It suits her face shape the best, and is so flattering and feminine. 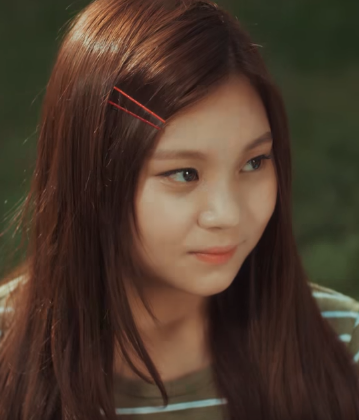 Free Umji's forehead! No bangs all the way!!!! I love her hair during Glass Bead & Me Gustas Tu. She looks so adorable. 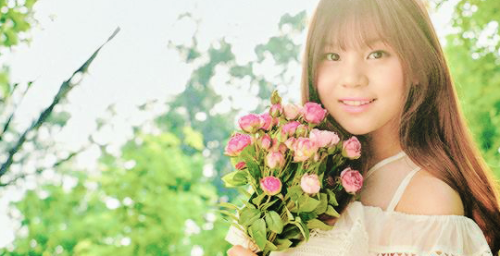 My forever maknae. Happy she's fully recovered & take the CSAT today. Woahh I've never seen this pic before. They looks so good here! 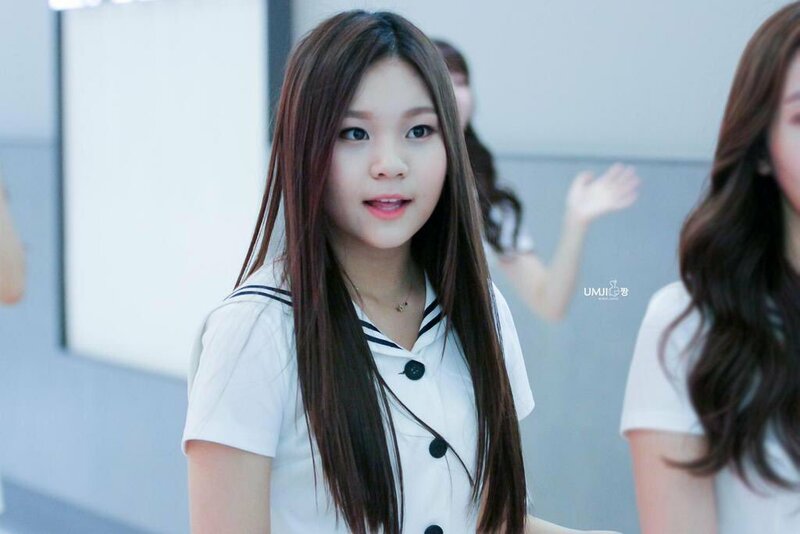 Umji looks so much more mature wtff.